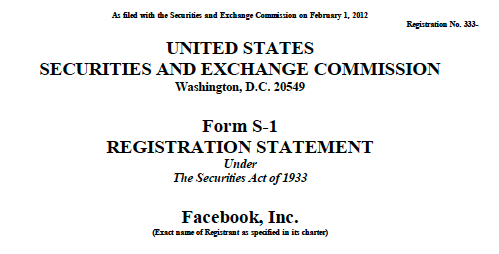 If Facebook’s IPO filing does anything besides mint a lot of millionaires, it will be to shine a rather unsettling light on a fact most of us would rather not acknowledge: The web as we know it is rather like our polar ice caps: under severe, long-term attack by forces of our own creation. And if we lose the web, well, we lose more than funny cat videos and occasionally brilliant blog posts. We lose a commons, an ecosystem, a “tangled bank” where serendipity, dirt, and iterative trial and error drive open innovation. Google’s been the focus of most of this analysis (hell, I called Facebook an “existential threat” to Google on Bloomberg yesterday), but I’d like to pull back for a second. 176 Comments on It’s Not Whether Google’s Threatened. It’s Asking Ourselves: What Commons Do We Wish For? Author John BattellePosted on February 2, 2012 Categories Book Related, Internet Big Five, Media/Tech Business Models, The Web As PlatformTags Amazon, Apple, facebook, Google, Internet, Internet Big Five, open web, policy176 Comments on It’s Not Whether Google’s Threatened. It’s Asking Ourselves: What Commons Do We Wish For?